laboring to rest ,it seems like it takes a life time,…..he who started the good work in you will complete it. 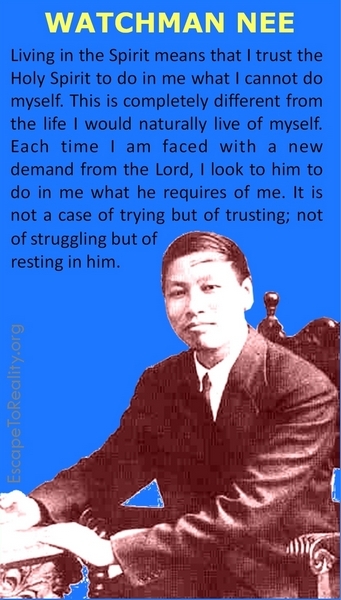 I love Watchman Nee! He was so ahead of his time and traditions back in the 70’s, and we still have many of his books. If only people would live by that quote and practice it.